Share benefits of the premier GPS tracking solution with Teletrac Navman's referral program! Teletrac Navman's technology currently tracks more than 500,000 vehicles owned by over 40,000 organizations. We're always looking to help more organizations save fuel, time, and money. With our referral program, we can reward those who help us spread the word! How does $250 sound? 1. Fill out the form below to let us know the right person to reach at the organization you're referring, and how to reach you. 2. If your referral qualifies* and becomes a Teletrac Navman customer, we'll contact you to redeem your gift. 3. 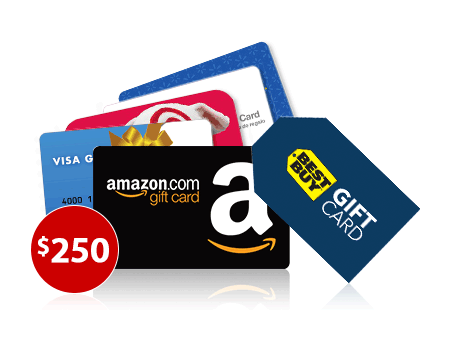 You get a $250 gift card, $250 charitable donation or, for customers an additional option of a $250 credit toward your monthly service. Now that’s what we call Software as a Service! * I have read and agree to the terms and conditions for the Teletrac Navman reward program. Certain restrictions apply. Teletrac Navman Inc. employees and their family members cannot participate in this referral program. Customers may not refer their own company to the program. Qualifying referrals must sign up at least 3 vehicles in the initial order. Qualifying referrals cannot already exist in Teletrac Navman’s marketing database or have had communication with Teletrac Navman in the last 120 days at the time of the referral. Qualifying referrals must sign up within 120 days of the date of the referral .Only referrals submitted through this web page www.teletracnavman.com/inbound-referral) will qualify. Rewards are to be issued to the named referral party—individuals or corporations—unless otherwise requested by referral party. Teletrac Navman is under no obligation to sign with a prospective customer. 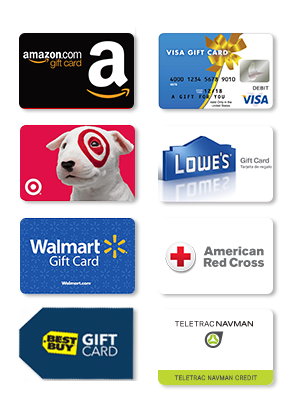 Amazon®, BestBuy®, Target®, Lowe’s®, Walmart®, Visa®, American Red Cross® are not affiliated with Teletrac Navman®. LOWE'S® and the GABLE MANSARD DESIGN are registered trademarks and service marks of LF, LLC.